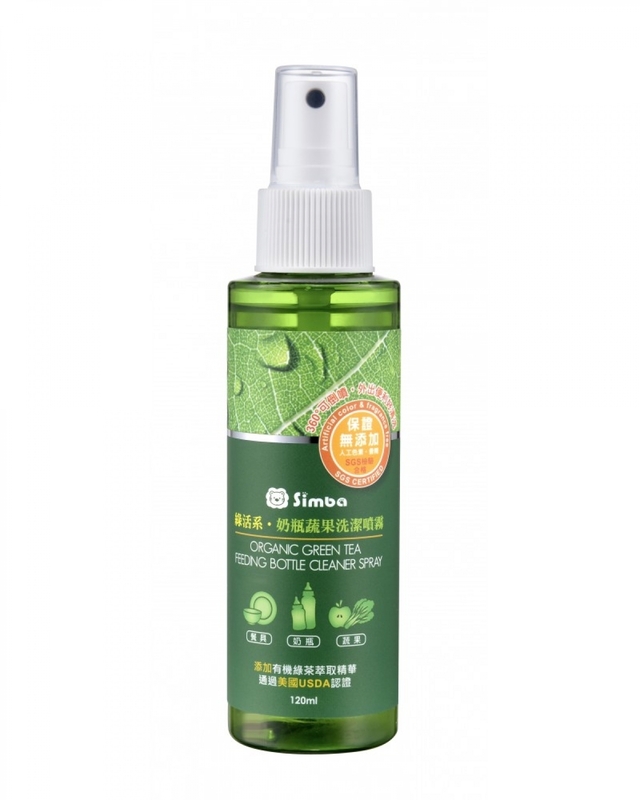 1.USDA certified organic green tea extract, efficiently removes odors. 2.Plant-based safety ingredient used, contains no artificial color, fragrance,methanol, NP, NPEO or other harmful chemical substances, safe to use. 3.In compliance with CNS3800 and tested by SGS, neutral, nontoxic,biodegradable and leaves no residues. 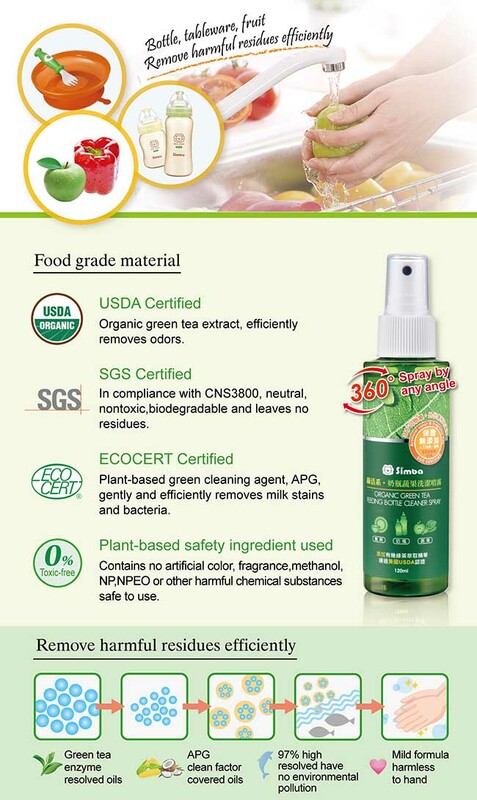 4.Plant-based green cleaning agent, APG, certified by ECOCERT, gently and efficiently removes milk stains and bacteria. 5.360° Spray by any angleEasy to carry, clean easier.